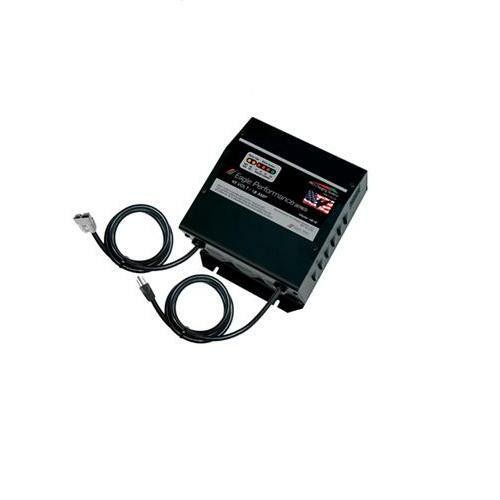 Pro Charging Systems Eagle Performance Series i2425 onboard battery charger converts 120VAC to 24VDC for fully automatic battery charging, 25 amp output. Ring terminal connection standard. Optional connectors available. Specially designed for industrial applications and electric vehicles - safe, reliable, and efficient. Ring terminal connection standard. Optional electric vehicle connectors include Crows Foot, D-Plug EZ-Go, Round club car, 2 Prong male Yamaha - please contact us for more information on these connectors.